Things can change ever so quickly in the modern game. Experience has shown us that we should never take anything for granted. Take the case of young Marcus Rashford. The young forward, when he broke into the Manchester United first-team, made an explosive start to his Old Trafford career. The teenager looked as if he’d burst onto the scene and was set to lead the Manchester United front-line for many a year. But, then along came a certain Jose Mourinho and whilst the ‘Special One’ raved about the youngster, it became obvious that Rashford would have to adapt his game and play in a wider position. Often, Rashford was vying with Anthony Martial for a place in the starting eleven. 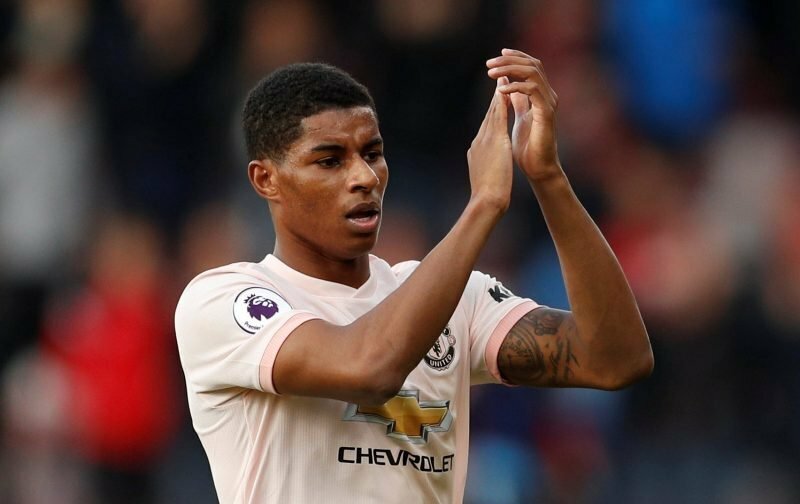 As a consequence, speculation started to emerge inferring that Rashford was assessing his future at the club and with Real Madrid, apparently, showing interest, it looked as if the 21-year-old could be tempted to try his luck in La Liga. But just when it seemed that was the most likely option, along came a managerial upheaval and with Mourinho gone and Ole Gunnar Solksjaer in charge, Rashford has been reborn. Solksjaer has, in the absence of Lukaku, opted to use Rashford in his favoured position and as a result, the youngster has put in some impressive performances. Sun, that Rashford will firmly reject any approaches from Real Madrid and wants to remain at Old Trafford long-term. It is a story that, thankfully, has a happy ending.